Woman Are Receiving Orders Via Cell Phone. 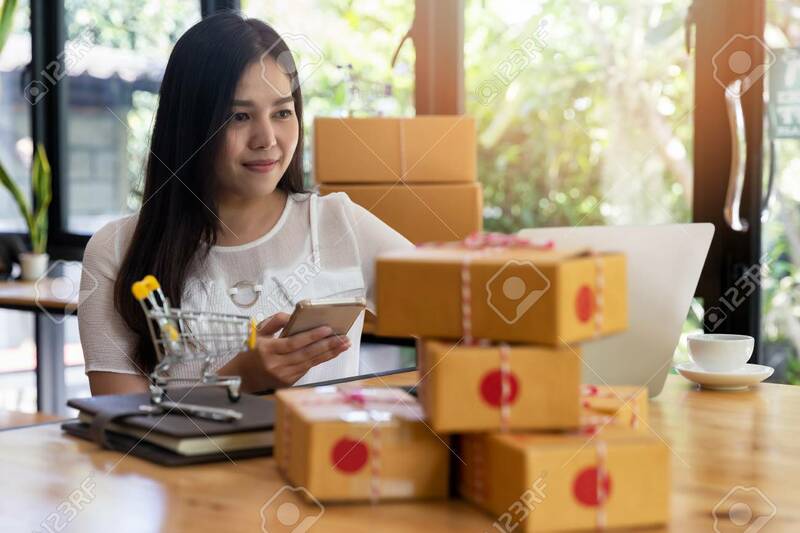 Successful Entrepreneur Business Woman With Online Sales And Parcel Shipping In Her Home Office. Lizenzfreie Fotos, Bilder Und Stock Fotografie. Image 116524700.